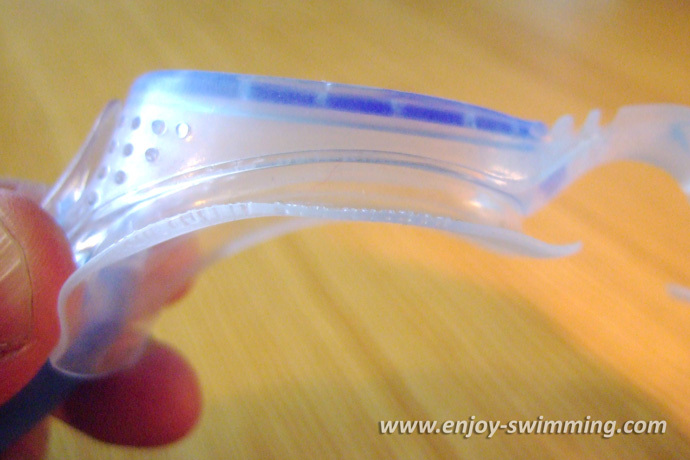 There are a lot of different kinds of Speedo swim goggles on the market. Yet, over the years, I’ve often come back to one particular model, which is the Futura Ice Plus. 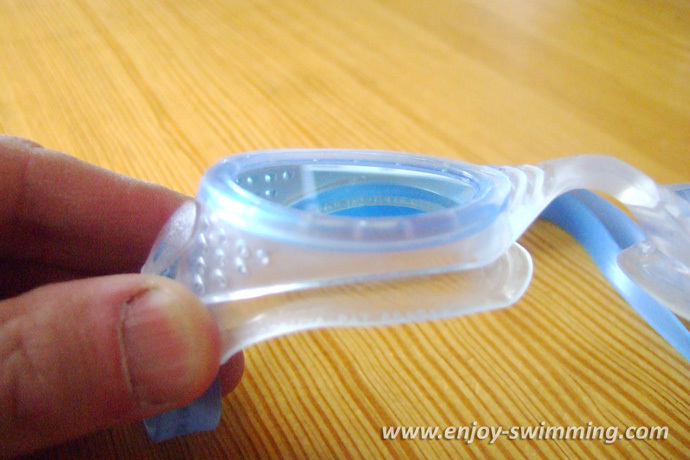 In this article I’ll cover the design, strengths and weaknesses of this swimming goggle and explain why it still is one of my favorites. A flexible frame made of silicone which includes nose bridge, lens holders and gaskets. The side clips that keep the strap in place. The lenses are flat and made of polycarbonate. They are fused with the frame which avoids leakage. They come come in different colors and tints. 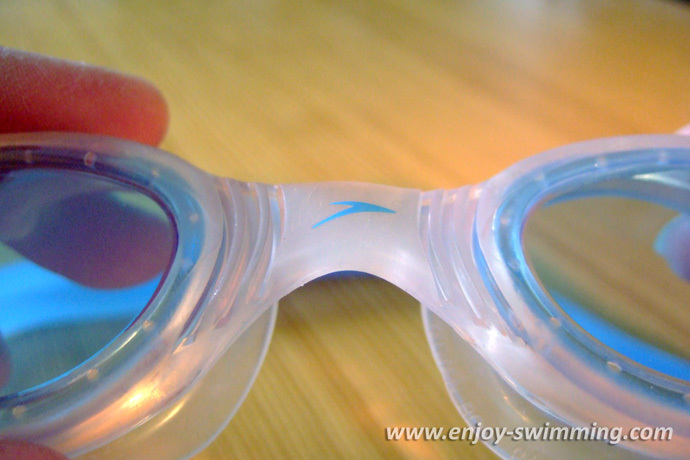 The lenses do protect from ultra violets, so they can be used for outdoor and open water swimming. Obviously the dark tinted ones are better in bright sunlight. They also have an anti-fog coating, so you don’t need to stop too often to wipe them. The nose bridge is integrated in the frame so it can’t be adjusted. However it is flexible and wide enough so that it should accommodate most noses. The gaskets are integrated into the frame and made of soft silicone. They fit the eye sockets well without hurting and don’t leak. When you push the goggles against the eye sockets, the goggles stick even without fastening the strap, which shows that they are air- and watertight. The strap wraps around a side clip at each side of the goggles. Those clips keep the strap in place. The strap is made of silicone and splits behind the head. 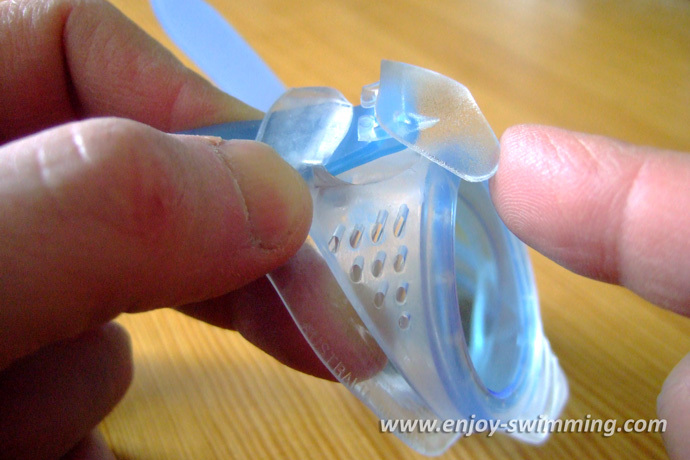 To adjust the strap, you need to take the goggles off, pull the slide clip off the goggles towards you, and then pull at one of the ends of the strap to adjust the length. Once the right length has been achieved, you pull at both ends of the strap so that the clip is pulled back into place. This means that you can’t adjust the strap while wearing the goggles which may or may not be an issue. 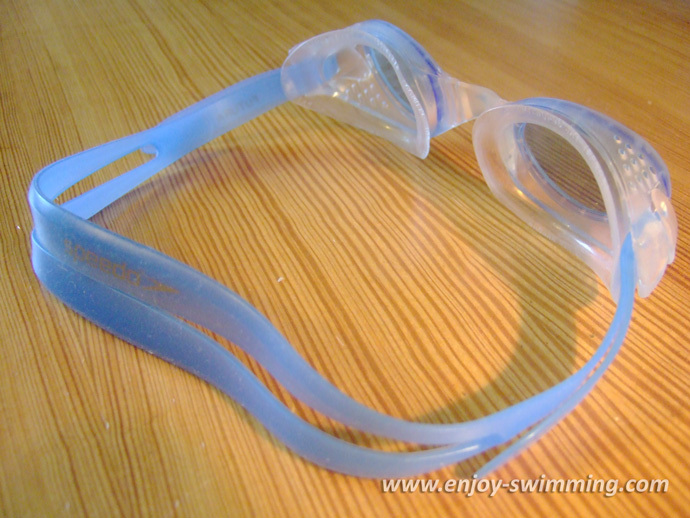 The Futura Ice Plus Speedo Swim Goggles come in several combinations of colors. The pairs that I own have blue and black lenses, transparent frames and transparent or blue straps. 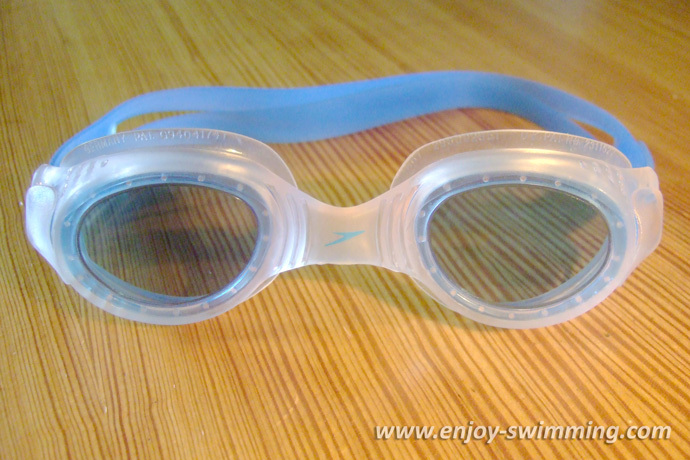 Let’s now review why the Futura Ice Plus are my favorite Speedo swim goggles. First of all, they stick well and don’t leak. The nose bridge is high enough and flexible so that it fits yet doesn’t hurt against the nose. The gaskets are both comfortable and flexible enough. Now the Futura Ice Plus Speedo swim goggles also have their shortcomings which I personally don’t mind but they could be an issue for somebody else. The look is only average. Not ugly but also nothing to write home about. You can’t adjust the strap while wearing the goggles. Even though the goggles aren’t bulky, they are big enough that the water pressure can make them slip off when you dive, take a quick turn or push off the wall with force. The Speedo Futura Ice Plus doesn’t seem to be manufactured anymore. There is now a new model, the Speedo Biofuse Futura, but I haven’t yet been able to test it. If you have used it, feel free to comment below. Best goggles ever. I have over 2 decades of swimming, and I say this with absolute certainty. Try to get the Futura Ice Plus Junior goggles by Speedo but was told that they are not available anymore. Anything else would fit the bill? Well, to be honest, I’m still looking for a replacement because my Futura are getting quite old now.